Terence Hammonds and R.F. Kampfer Revolutionary Literature Archive — Anytime Dept. when you’re the one propping it up? Anytime Dept. is proud to present How are you going to bring down the state when you’re the one propping it up? 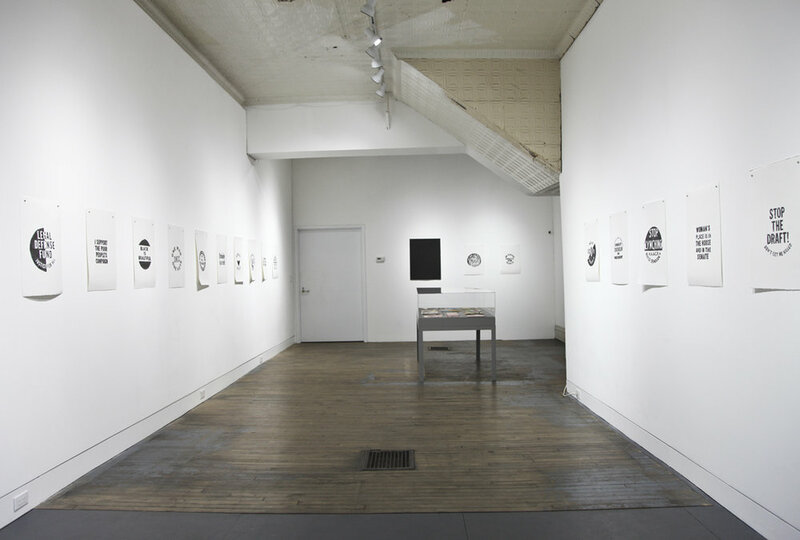 an exhibition of work by Terence Hammonds, presented alongside a selection of historical ephemera from the personal collection of Brad Duncan, known as the R.F. Kampfer Revolutionary Literature Archive. 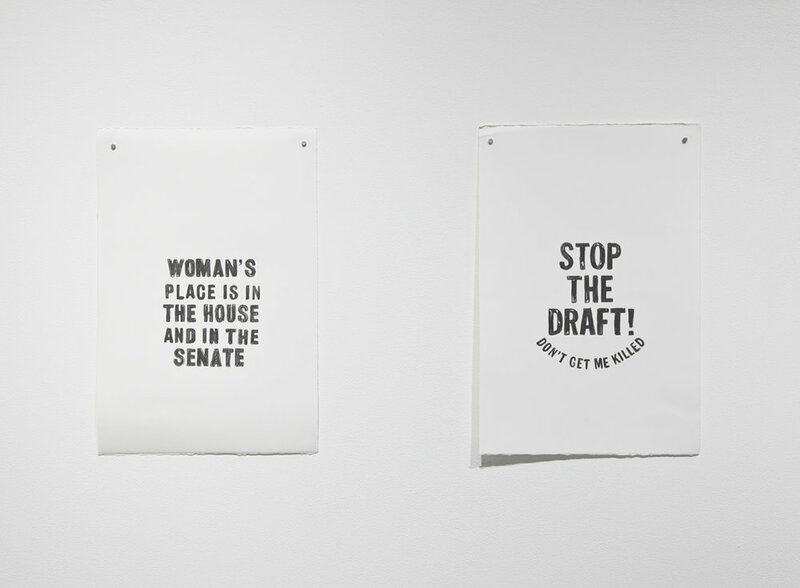 This exhibition is an articulation of the relationship between art and activism. 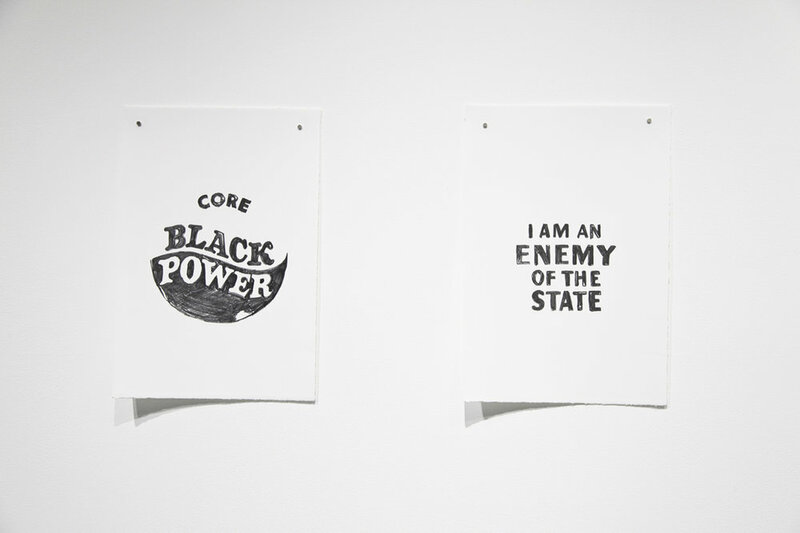 Terence Hammonds’ work explores the significance of materials of radical social justice movements throughout US history. 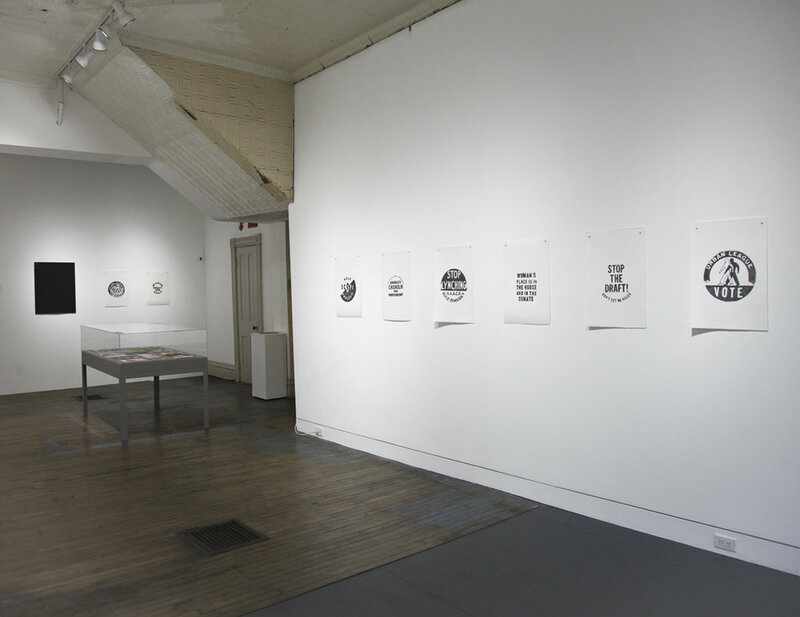 With a background in printmaking, Hammonds takes a multidisciplinary approach to his interpretation and re-presentation of source material, lovingly and transparently reviving the language of political radicalism and utopian idealism. 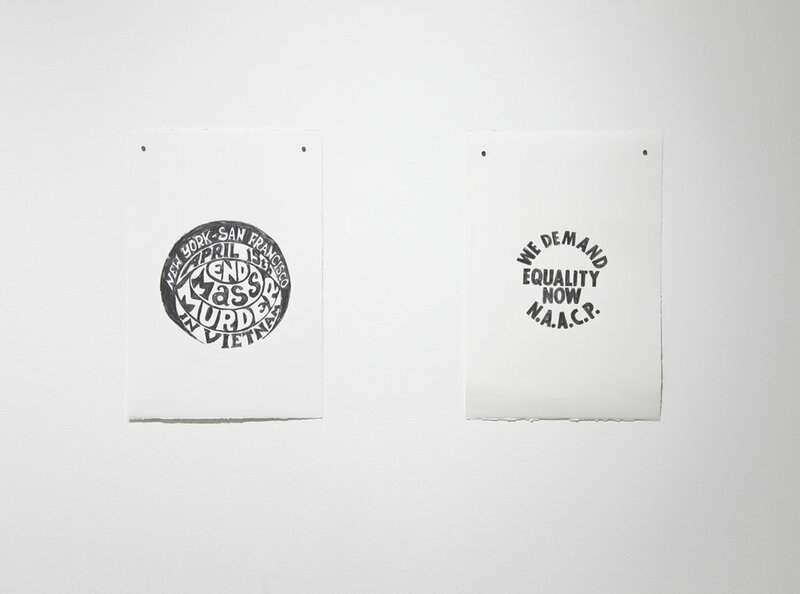 For this exhibition, Hammonds focuses on the narrative of affiliation and commitment as told through pins and buttons produced by movements ranging from civil rights, feminism, labor, black power and gender equality. 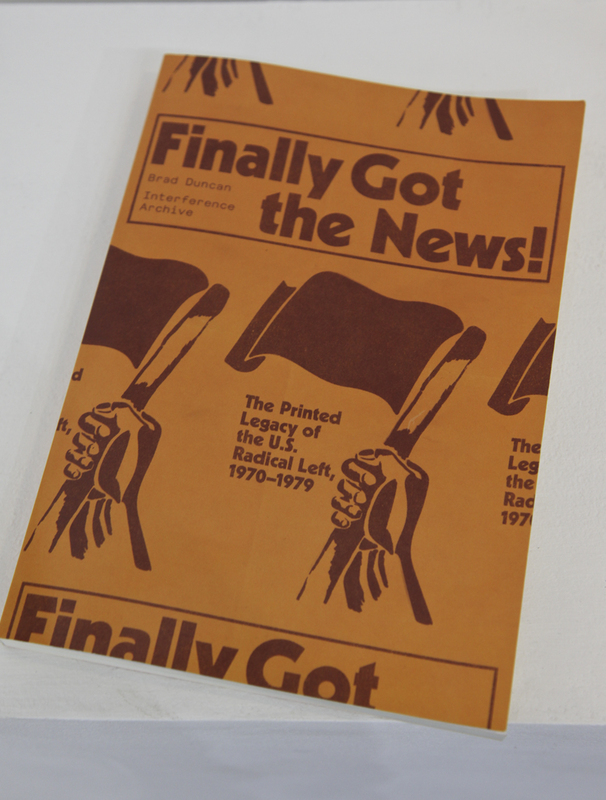 While Hammonds’ work gives us an image of a movement, Duncan’s selection of radical ephemera supplies access to the history of grass-roots image as message; a time before the aesthetics of the left had been translated into a pop cultural style. Duncan protects, preserves and honors these movements and their material histories, giving insight to issues still pertinent today. 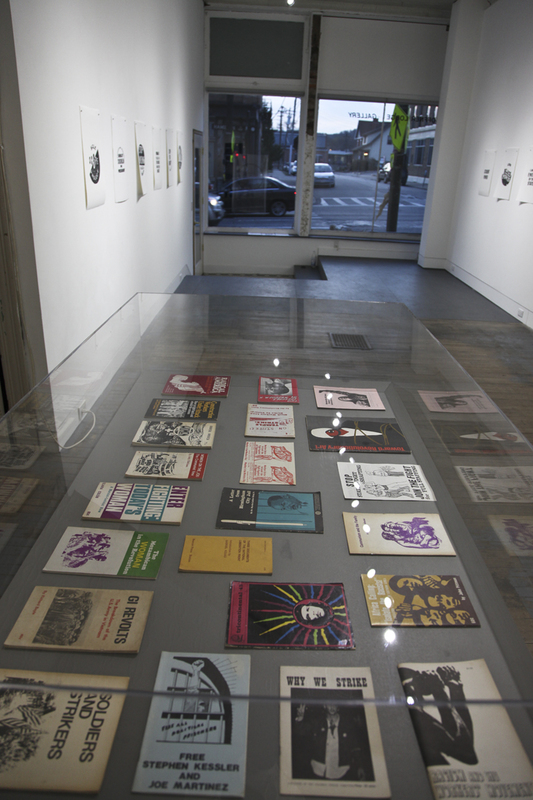 Brad Duncan has been collecting printed materials related to the radical Left and liberation movements for over twenty years. He is the co-editor, with Interference Archive, of the new book Finally Got the News: The Printed Legacy of the U.S. 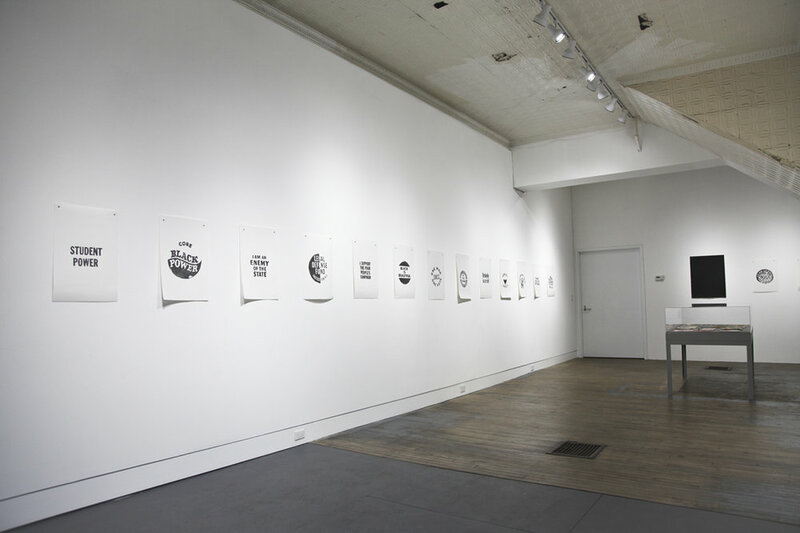 Radical Left, 1970-1979 (Common Notions, 2017), which is based largely on materials from his collection. He is a union library worker and lives in Philadelphia, Pennsylvania. 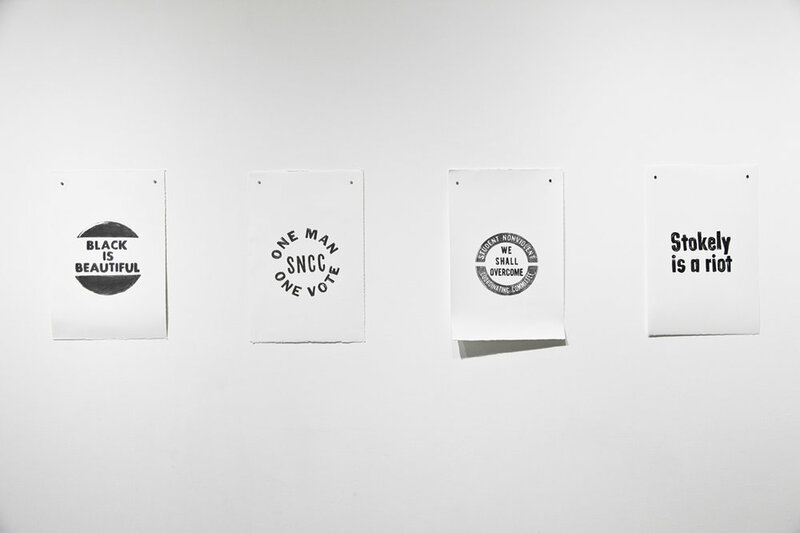 Terence Hammonds is a Cincinnati, OH based artist who uses the platform of printmaking to express ideas about politics and race in a variety of media. 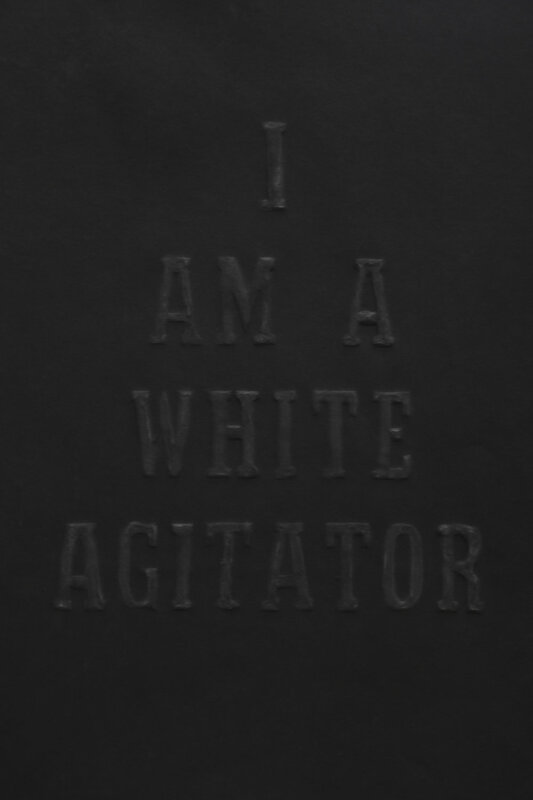 By screen-printing figures from 1960- 70’s’s civil disobedience/ social justice movements on ceramics and creating drawings of movement buttons and protest signs, Hammonds monumentalizes heirlooms of cultural transgression. Hammonds received his BFA from the School of the Museum of Fine Arts, Boston, and Tufts University.